A rotator cuff tear is a common shoulder injury that brings almost two million people to the doctor each year. 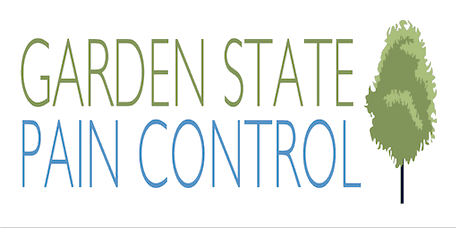 The team of orthopedic surgeons and sports medicine specialists at Garden State Pain Control treat rotator cuff tears at their state-of-the-art facilities in Edison, Clifton, Hazlet, and Jersey City, New Jersey. If you think you may have a torn rotator cuff, call or book an appointment online today. The rotator cuff is a group of four muscles and tendons that hold the head of your upper arm bone (humerus) in your shoulder socket. In addition to stabilizing your shoulder joint, the rotator cuff helps you lift and rotate your arm. A rotator cuff tear happens when one or more of these tendons become damaged or injured. A rotator cuff tear can be partial, or incomplete, or it may entirely sever the tendon in a full-thickness tear. The two main causes of a rotator cuff tear include injury and degeneration. Acute rotator cuff tears may occur after an injury, such as falling down on an outstretched arm, or while lifting something heavy with improper form. Degenerative tears are much more common and happen slowly. Repetitive stress from arm motions such as throwing a ball, weightlifting, or even painting a house can cause the rotator cuff to wear down and fray. These tears are more common with increasing age. How do I know if I have a rotator cuff tear? Pain from a degenerative tear may be mild at first and worsen over time. Some rotator cuff tears aren’t painful at all, but cause weakness when lifting or rotating your arm. How is a rotator cuff tear diagnosed and treated? First, your physician at Garden State Pain Control examines your shoulder and reviews your symptoms and medical history. They evaluate your shoulder strength and range of motion and may take tests, such as X-ray or MRI. If you have a severe tear or don’t notice improvement with treatment, the team at Garden State Pain Control may recommend surgery. Many rotator cuff repairs can be done as a minimally invasive arthroscopic procedure. To learn more, call or book an appointment online today.